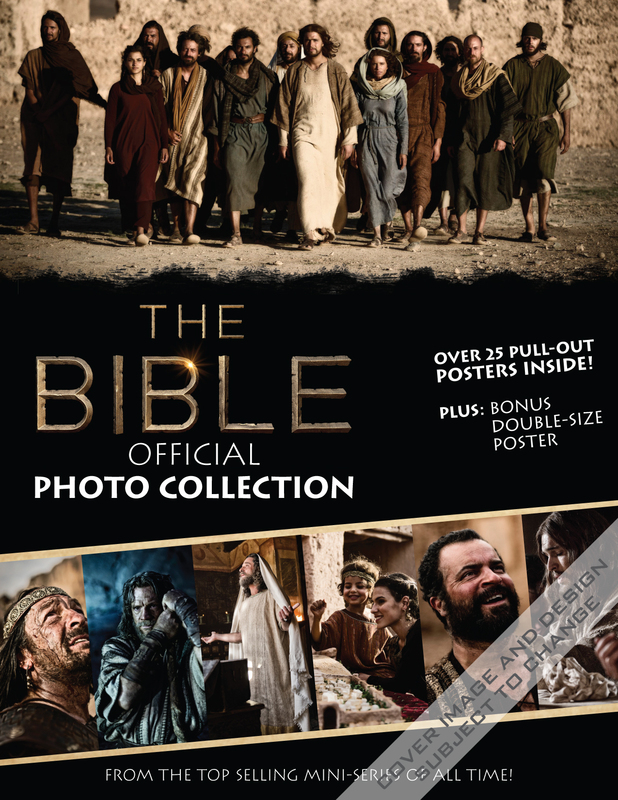 From executive producers Roma Downey and Mark Burnett, The Bible TV miniseries retells biblical stories that are breathtaking in scope and scale. It debuted in March 2013 on the History Channel and is to date the top-selling miniseries of all time. With over 100 million viewers, the scripted epic 10-part miniseries sold more than 525,000 DVD units in its first week. Its companion book, A Story of God and All of Us, is a New York Times bestseller. Burnett reports that a three-hour theatrical film version is in the works for a possible fall 2013 release, as well as an additional miniseries in the future. 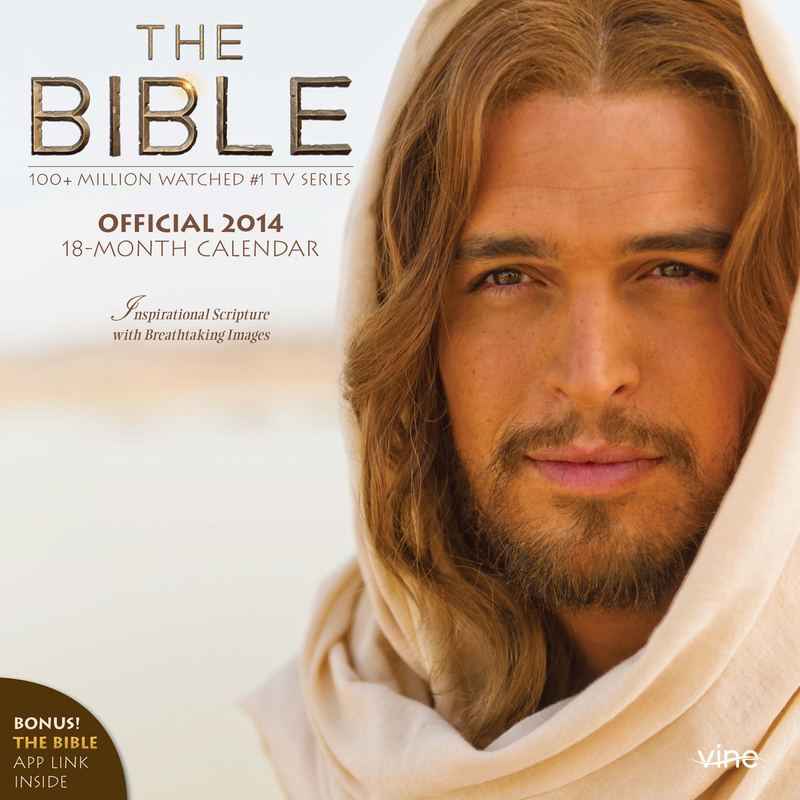 Vine Publications is honored to be the exclusive licensee for its calendars and other products. 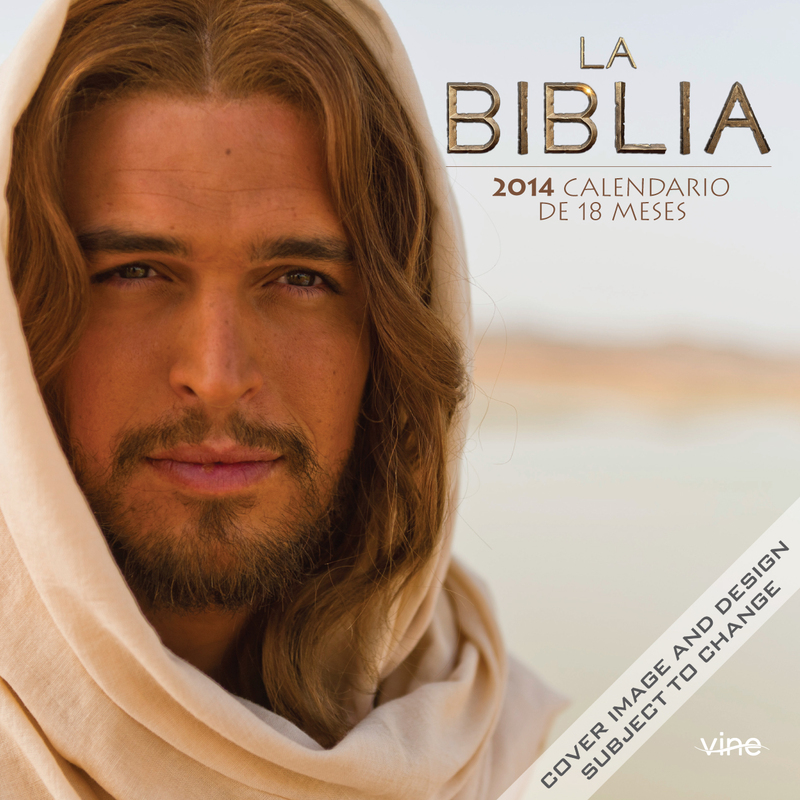 2014 offerings include a 12″ x12″ wall calendar (English and Spanish versions), 7″ x 7″ mini calendar, three posters, and The Bible Series Photo Collection. 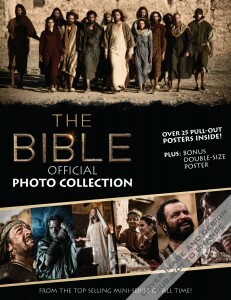 The Bible official 8.5″ x 11″ Photo Collection is filled with moving images of Jesus and the 12 apostles. 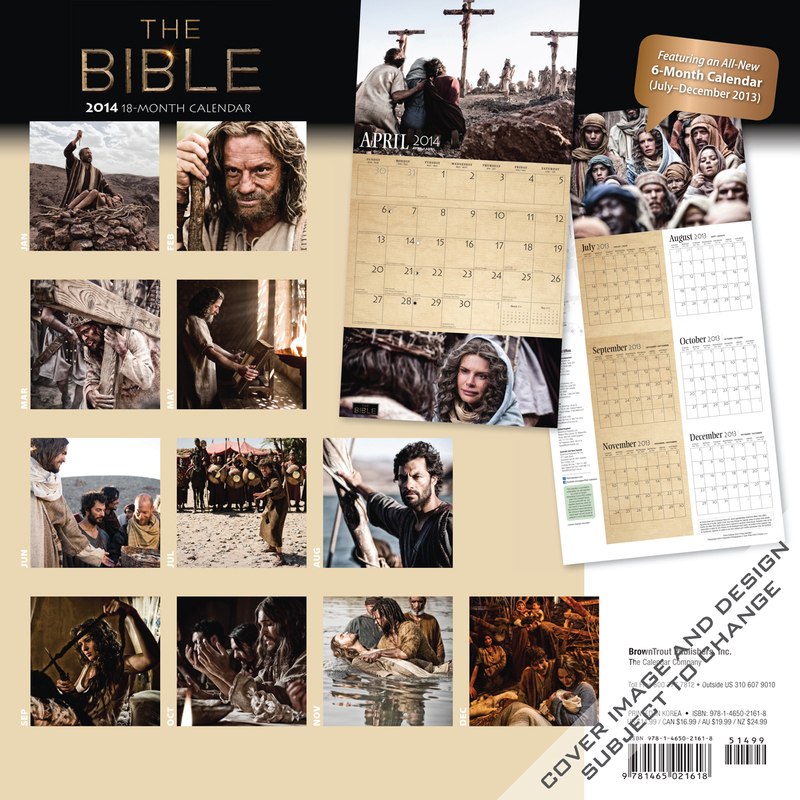 The cast of unforgettable characters from this History Channel miniseries fill the pages of this book, giving you another chance to relive the timeless accounts of The Bible. This entry was posted in Calendars, Press Releases and tagged calendars, history channel, press release, the bible, tv series, vine publications on June 24, 2013 by vineadmin.